The introduction of 4G has had far-reaching effects on our society, from providing a reliable broadband connection to people living in the most remote of areas to enabling high-quality live video streams. And if you think 4G was transformative, prepare to be taken aback by the opportunities that 5G will inevitably enable. The introduction of 5G, or the fifth-generation of wireless networks, is just over the horizon. 3GPP (the primary group given the task of specifying wireless standards) has finalised 5G’s specifications. 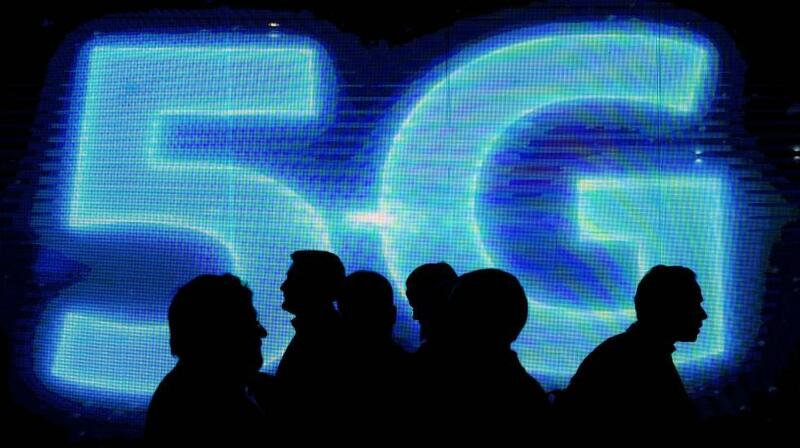 Right now, manufacturers such as Qualcomm are finalising their first 5G-capable modems for our smartphones and the networks are selecting their vendors for 5G networking equipment. We already see companies capitalising on the excitement that the technology has ignited, Three recently announced plans to launch a 5G network early next year. There are many features of 5G which make it vastly better than 4G, all features which have been carefully specified by 3GPP. These features include energy and cost efficiency, ultra-low latency, very high capacity and increased security and reliability. While all of these will be important, the most apparent advantage of 5G, at least in the eyes of consumers, is the ability to make use of blazing-fast speeds. The primary difference between 4G and 5G is the frequency of radio spectrum that is used to provide coverage. The wavelength (distance between peaks and valleys) becomes smaller as the frequency becomes higher. 5G will make use of mmWave, where the wavelength is measured in millimeters and the frequency is between 24 and 300GHz. This mmWave spectrum can deliver extreme capacity, enabling blistering speeds even when there is heavy usage on the cell. Generally, the higher the frequency of the radio spectrum, the greater the capacity it offers. But using these higher frequencies raises its own set of difficulties. The primary of which being its inability to penetrate walls or even foliage. These frequencies don’t travel far either, a base station will be required every few meters if we are to achieve reliable coverage. Thankfully, as the wavelengths are shorter, the antennas found on base stations will be much smaller. Qualcomm has devised a solution to mitigate this issue called beamforming. This technique combines multiple mmWave signals to produce a focused beam of signal to your device’s multiple mmWave antennas. The 5G cells will create multiple focused beams of signal, increasing the likelihood of your device obtaining a signal. These concentrated beams will be affected by the environment through which they pass, bouncing off walls or trees. The real wizardry with beam forming and Qualcomm’s recently announced 5G modems is their ability to send an upload beam back to the cell, mimicking the path of the download beam. This is important as it allows your device to maintain its connection with the cell as you move. Thanks to the use of beam forming and mmWave spectrum, we can expect to see peak speeds of 5Gbps at launch, with real-world speeds coming in at around 1.4Gbps. Compare that to 4G, which averages around 25Mbps, and you can see why there’s so much hype. For rural areas, mmWave technology will pose a significant challenge, and require an unprecedented level of investment from our mobile networks. In many cases, it won’t be possible to roll out the mmWave spectrum in these areas, instead, we can use sub-6GHz spectrum. ComReg has already auctioned 350MHz of 3.6GHz spectrum which will be used for 5G here. This offers significantly greater capacity than our current 4G networks, which predominately use 800MHz or 1800MHz spectrum. According to Qualcomm, we can expect typical speeds of close to 500Mbps using sub-6GHz spectrum. The increased speed is a result of more than just the use of high-frequency spectrum. Networks can also implement Massive MIMO (massive multi-input-multi-output), the use of multiple antennas on the base station and smartphone modem, to maximise speeds and spectrum efficiency. As explained earlier, ComReg has held its first successful spectrum auction for 5G. The auction, which was for spectrum in the 3.6GHz band, saw the assignment of all 350MHz of spectrum in 594 lots spread across nine regions. Vodafone secured the largest amount of spectrum of any network, paying €22.8 million for 85Mhz for use in rural areas and 105Mhz for use in cities. Eir won 85MHz for cities and 80MHz for rural deployments. Three managed to secure 100MHz of nationwide spectrum for €20.3 million. ComReg has indicated that it intends to pursue 5G spectrum allocations on a geographic coverage basis, rather than the wildly inaccurate population standards which are used by mobile networks today. This change will make it easier for consumers to understand which network has a larger coverage footprint, and compel mobile networks to compete more aggressively for better coverage. 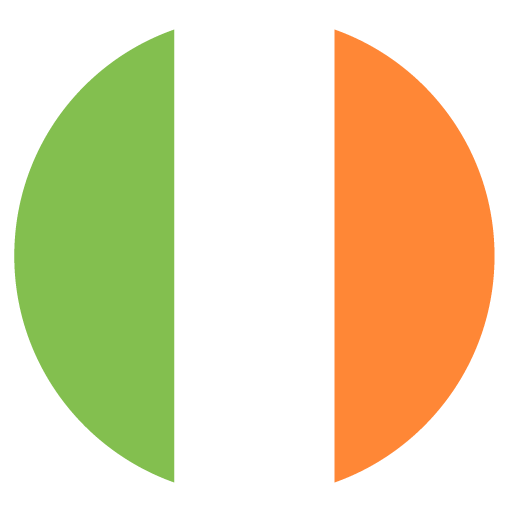 It remains to be seen if Ireland’s three mobile operators will launch their 5G networks independent of one another or engage in an infrastructure sharing agreement that could reduce costs and speed up the rollout of the technology. 5G will require an order of magnitude more base stations than 4G, making the technology an expensive investment for our mobile operators. Three has announced its intentions to invest €100 million in its network annually, and Eir will likely invest heavily also as its new owner aims to grow the company’s mobile division. What many people forget as we await the launch of 5G is the fact that 4G will remain a critical part of our mobile experience. When there is no 5G available, 4G will be there to ensure we have a backup connection to the Internet. Three and Vodafone have already made big efforts to advance their 4G networks, using techniques such as carrier aggregation and 256QAM to boost capacity and speeds. In fact, Vodafone and Three’s 4G+ networks allow users to take advantage of speeds reaching over 300Mbps today. Another trend which will surface as the adoption of 5G networks becomes more widespread will be the decreased congestion on existing 4G networks. As we shift from 4G to 5G, 4G networks will become faster than they are today, and this will benefit those who don’t have a 5G capable device. For areas that experience heavy congestion on 4G today, the arrival of 5G will be a saving grace. The benefits of 5G can be summarised in just a short sentence: the technology will enable ultra-low latency, vital for mission-critical applications such as driverless vehicles, extreme capacity and speed will enable new experiences such as augmented reality and excellent reliability and efficiency will make the technology a huge boon for our mobile operators. For consumers, the huge leap in speed is a welcome improvement given the congestion that is beginning to plague today’s mobile networks. We can expect to see the first 5G networks next year, and this will coincide with the launch of 5G capable smartphones and mobile broadband routers. MmWave spectrum will advance wireless networks beyond anything we can relate to today, and innovations such as Massive MIMO and beam forming will be key to unlocking 5G’s full potential. ComReg’s suggestions to roll out the technology on a geographic basis is a gigantic relief for Irish consumers, who will finally be able to choose the true best network, not the one that claims it has the best coverage. A revolution is just over the horizon, it will touch all of our lives in one way or another. The availability of 5G will bring with it great economic opportunities and provide us with the tools that we need to continue innovating. A person who is bewitched by the magic of technology every day. Truly believing in its power to break down our barriers and lift up humanity. Writing about tech is my passion. See www.lukekehoe.com for more of my articles.